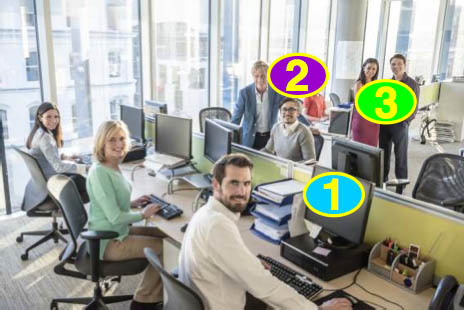 There’s a lot going on in your office, and your eyes feel it! 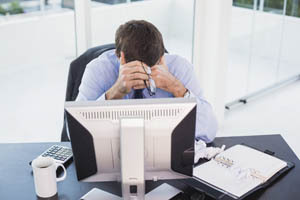 Most of us spend many hours a day in front of a computer screen. The image on a computer monitor pulsates. That means it is only present about 90% of the time. In response, in order to minimize the disruption of the flow of information to your brain, you stall your blink reflex. This results in an incomplete blink or no blink at all. Dress eyewear is designed to allow you to see at all distances from very far away to right up close. As with most things in life they require some compromise. Your computer monitor is positioned in what is know as your mid-range. That viewing distance between the long-distance, twenty feet and further away for driving, and near-distance used for recreational reading. On many lenses this area is narrow requiring excessive head movement to focus on all you need to see. 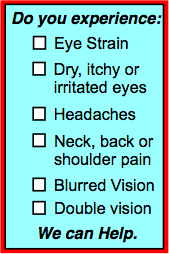 Headaches, neck, back and shoulder pain are the second series of symptoms associated with Digital Eye Strain. A specially designed Office lens maximizes clear vision and provide a wide distortion free field of view from your computer, key board and desk area as well as across the office, improving your comfort dramatically. Light bounces off of everything in your office. You experience glare from your computer monitor. Overhead lights reflect off your desk. Sunlight creates a veiling glare when it hits your eyeglass lenses. Task lighting even reflects off your coffee cup! This annoying and distracting glare can add to your eye strain. Reflection Free lenses can be designed to eliminate this source of irritation. We have known for years that ultraviolet light (UV) can burn your skin, cause wrinkles around your lids and cause cataracts. It turns out that right next to UV is High Energy Blue light (HEV) that penetrates deep inside the eye and causes damage to the delicate light sensitive tissue, called the retina, at the back of the eye. Fluorescent, halogen and LED lighting is rich in these wave lengths. Sunlight has a modest blue light component. In order to brighten screens manufacturers of computers, laptops, tablets and even smart phones, intensify this same blue light. 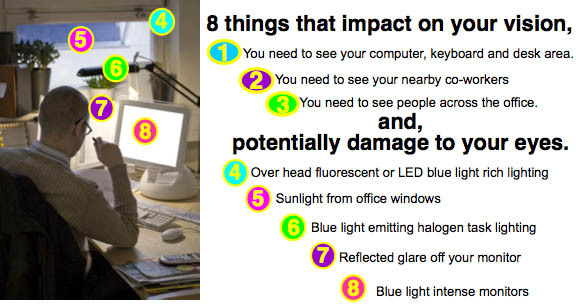 In the office your eyes are being bombarded by destructive blue light. The impact of this exposure is cumulative. With increased exposure HEV triggers an oxidative reaction, a rusting of the retina, which leads to Age Related Macular Degeneration (ARMD/AMD). 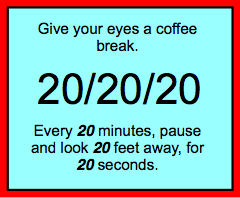 These changes lead to irreversible sight loss. Patients suffer a significant central vison loss and lose their ability to read and see faces. • Have regular Comprehensive Eye Exam. • Discuss computer eyewear with your Parrelli Optical Optician. 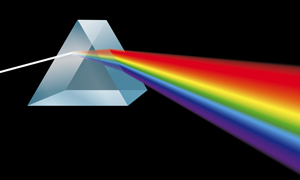 • Let our Experts design your Office lenses with high energy blue light blocking technology. • Take a periodic breaks. • Position your monitor at arm’s length (creates to optimal working distance). • Place you screen perpendicular to office windows (minimizes reflected light). • Position you computer so that it is below eye level. (encourages blinking). Let the experts at Parrelli Optical design Office lenses to improve your vision and protect your precious sight. Shop with confidence, all Eyewear from Parrelli Optical® is covered by our exclusive “You Must Be Totally Satisfied” written guarantee.